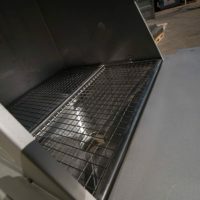 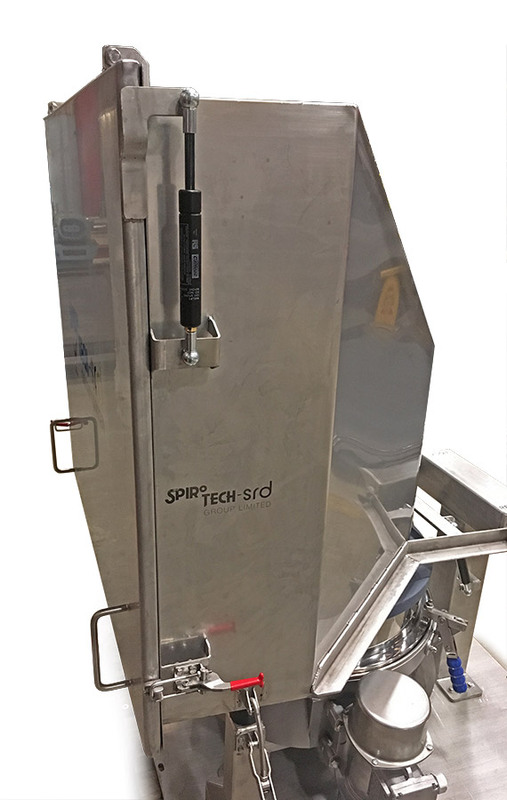 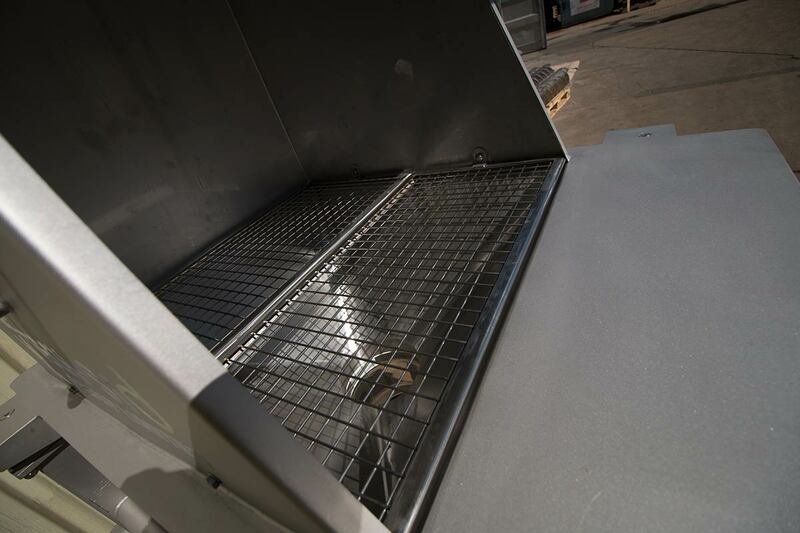 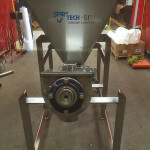 Spirotech SRD Group design and build hoppers and product bins to customer specification in both mild and stainless steel. 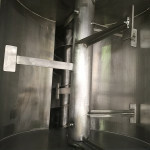 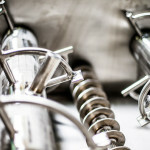 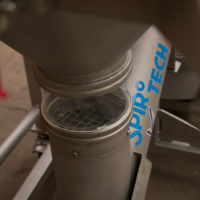 Spirotech also supply liquid mix tank assemblies for all applications. 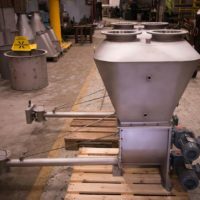 These include the supply and installation of all types of mixers including downward flow axial mixers for use in the water industry. 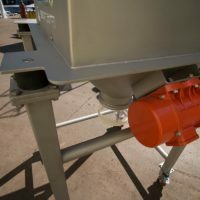 The hoppers, tanks and bins can also be fitted with weighing systems for maximum accuracy and optimisation of powder/ liquid usage. 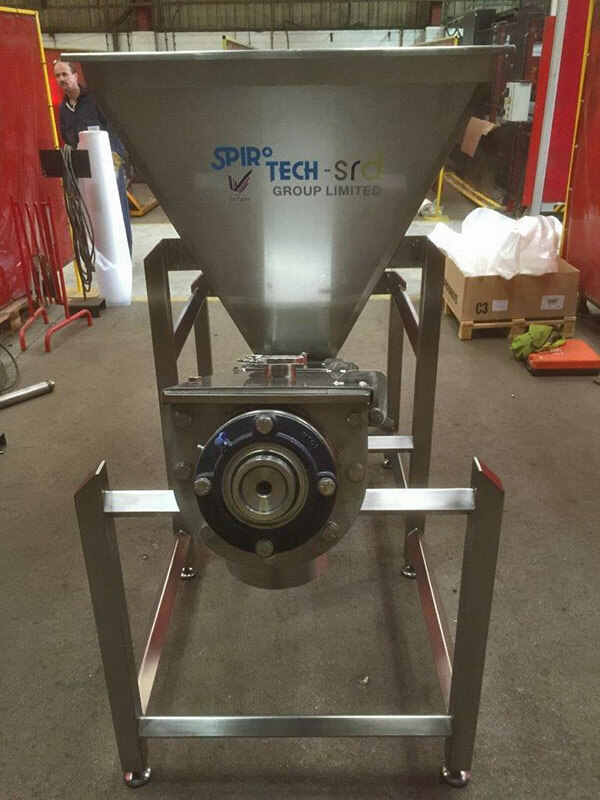 Spirotech-SRD Group offer a range of sack tipping stations to accommodate a variety of powders and granules. 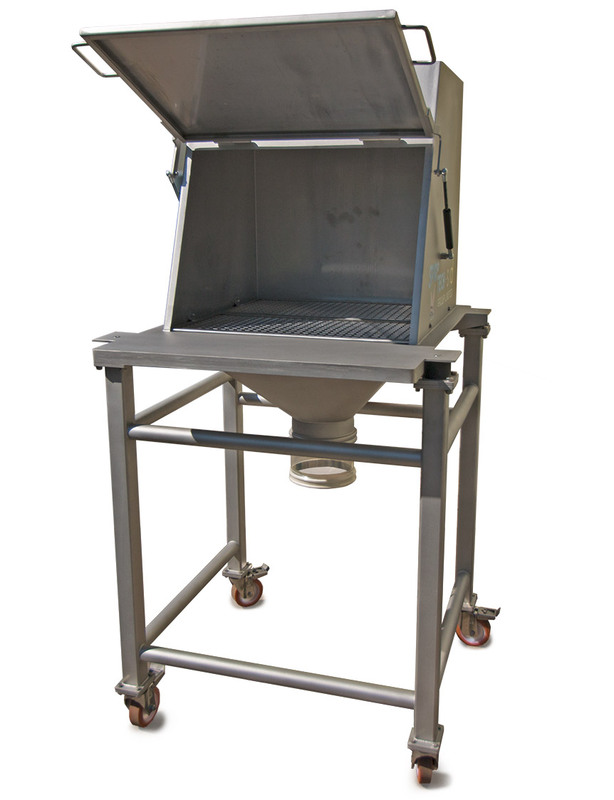 The sack tip stations can be manufactured from mild steel, stainless steel 304 and stainless steel 316. 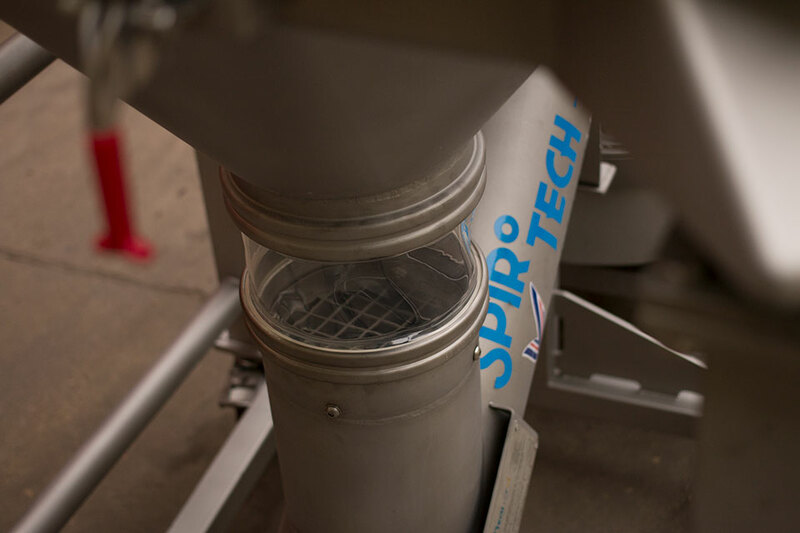 Spirotech also offer a range of dust extraction methods to ensure a safe and dust free operation when emptying the sacks. 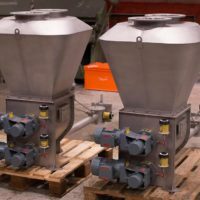 Discharge aids, such as aeration, vibration or screw dischargers and rotating agitators for some of the more challenging powders. 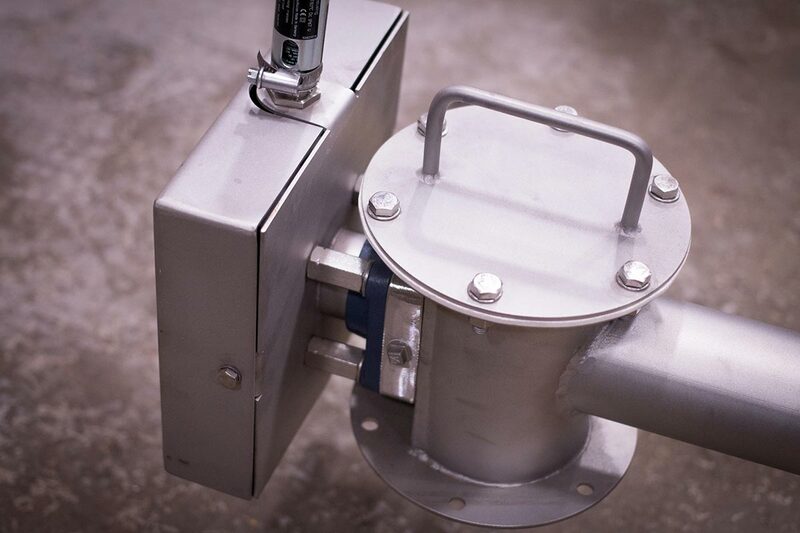 Level indication such as level probes and continuous loadcell weighing. 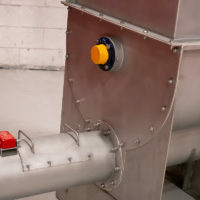 In addition, ATEX Cat 3D Zone 22 compliant systems can also be provided. 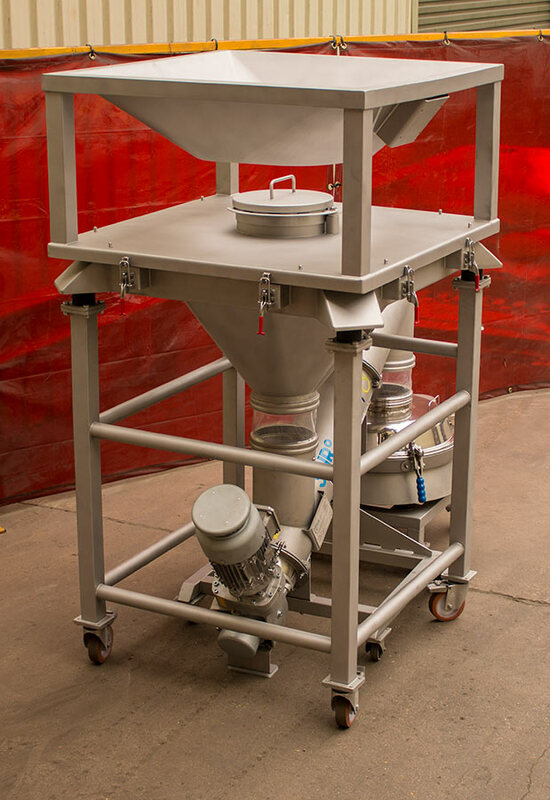 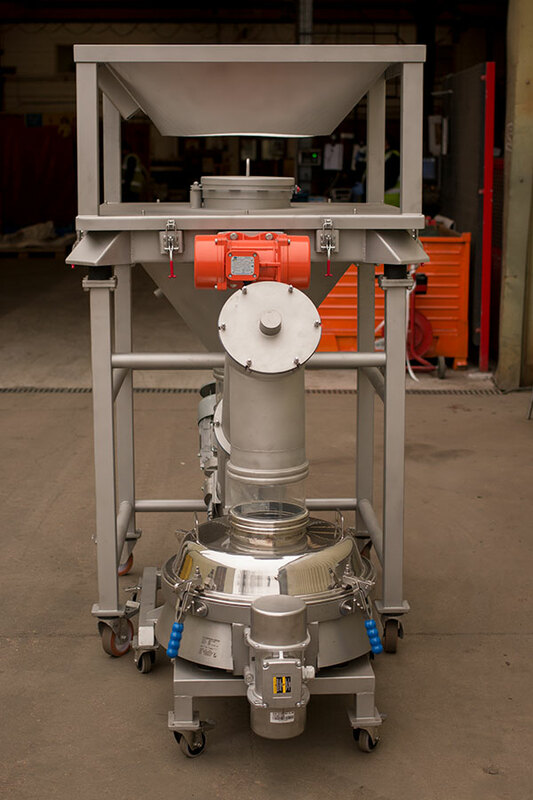 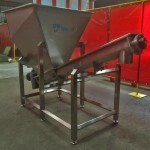 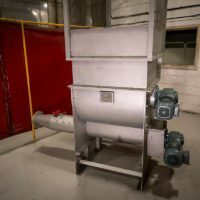 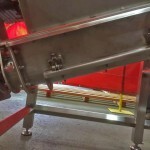 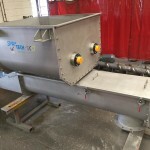 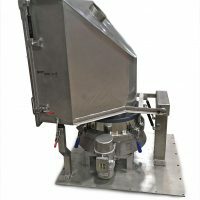 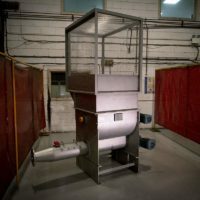 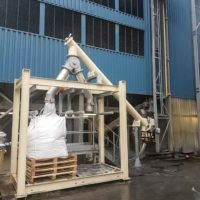 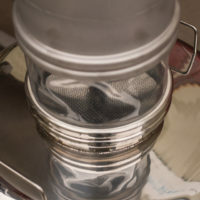 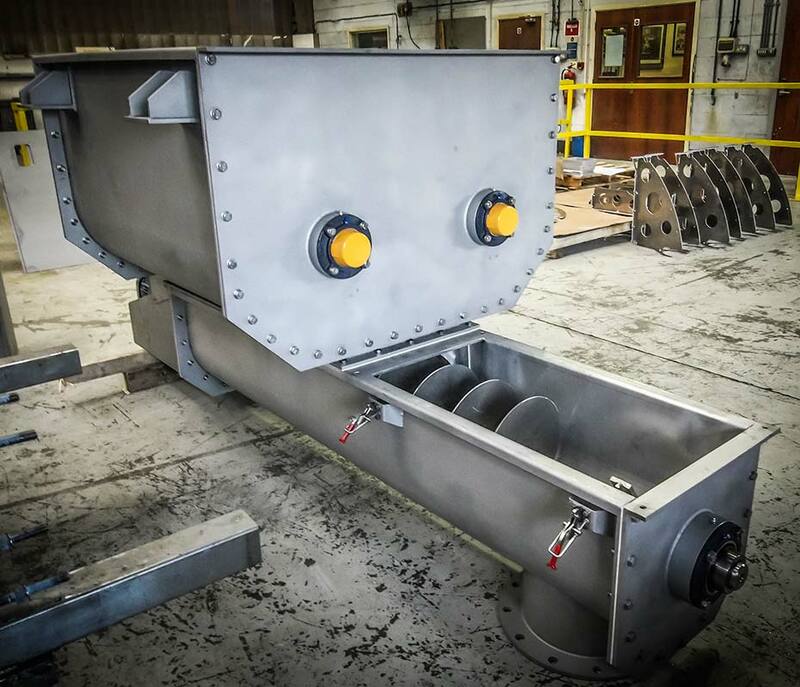 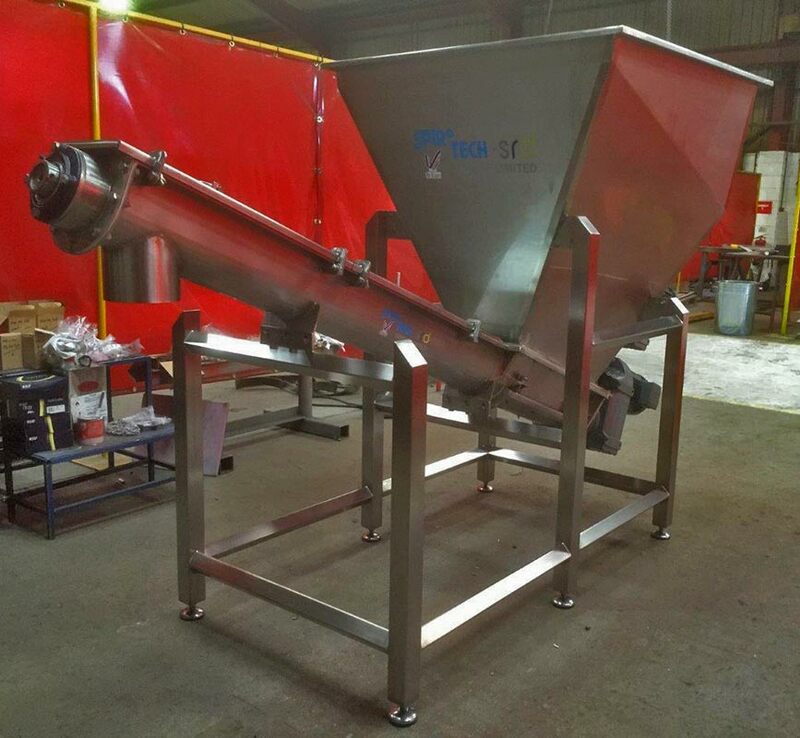 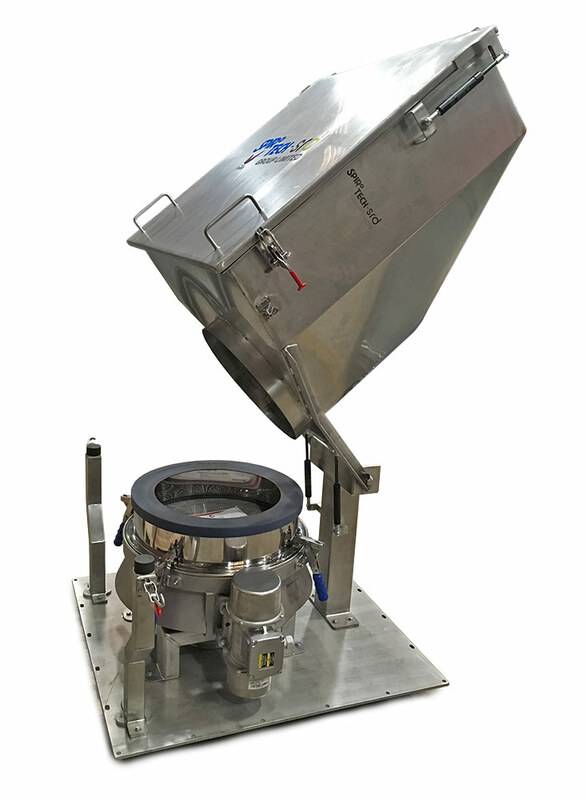 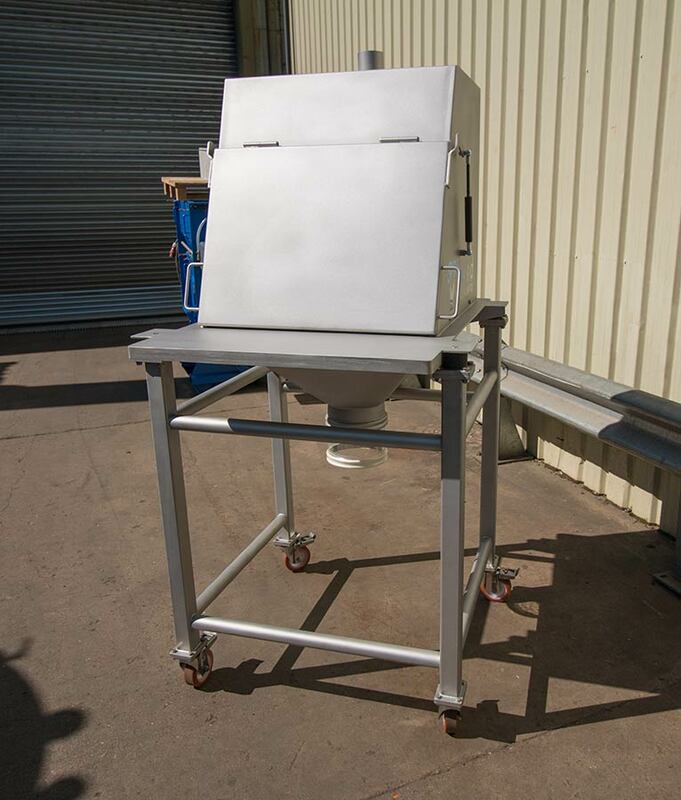 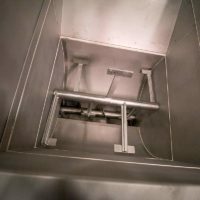 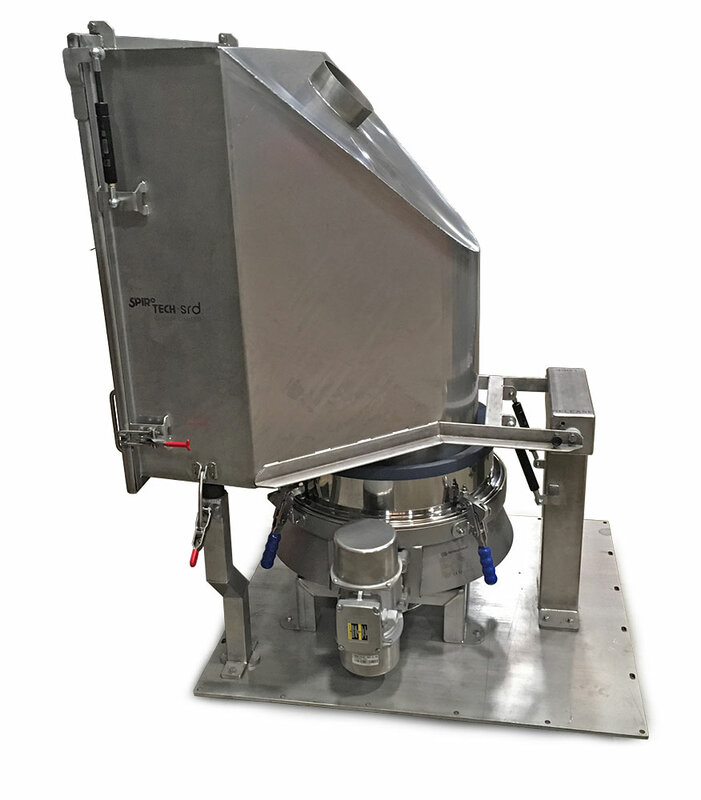 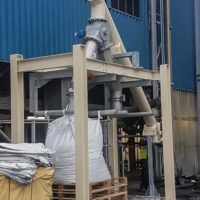 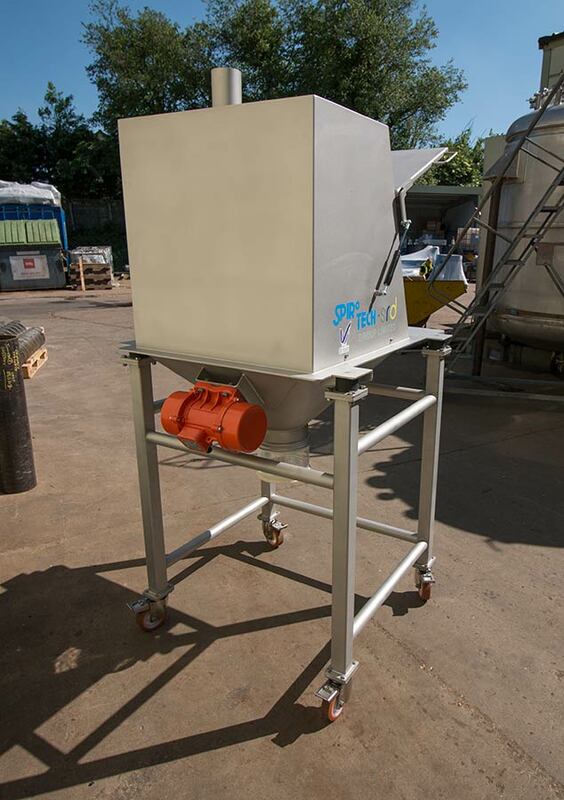 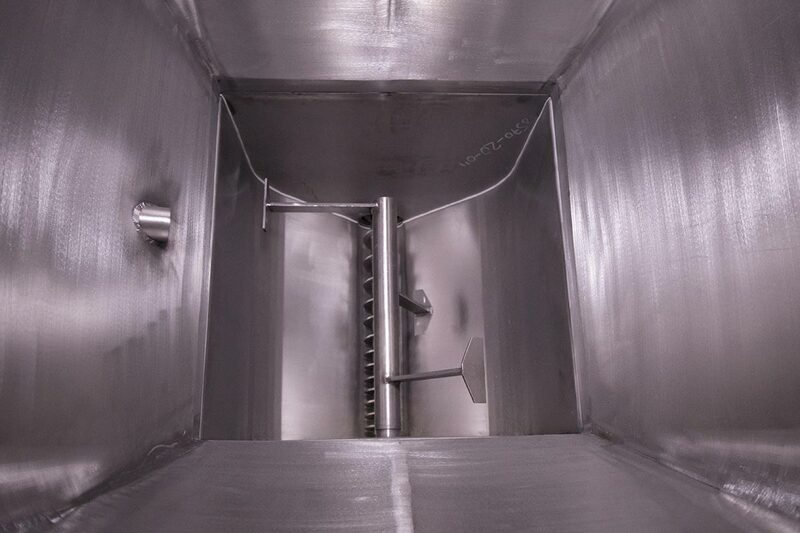 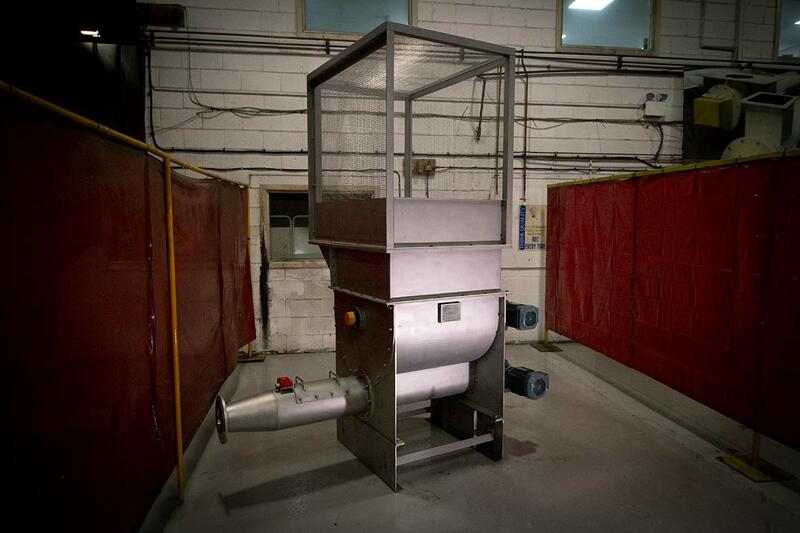 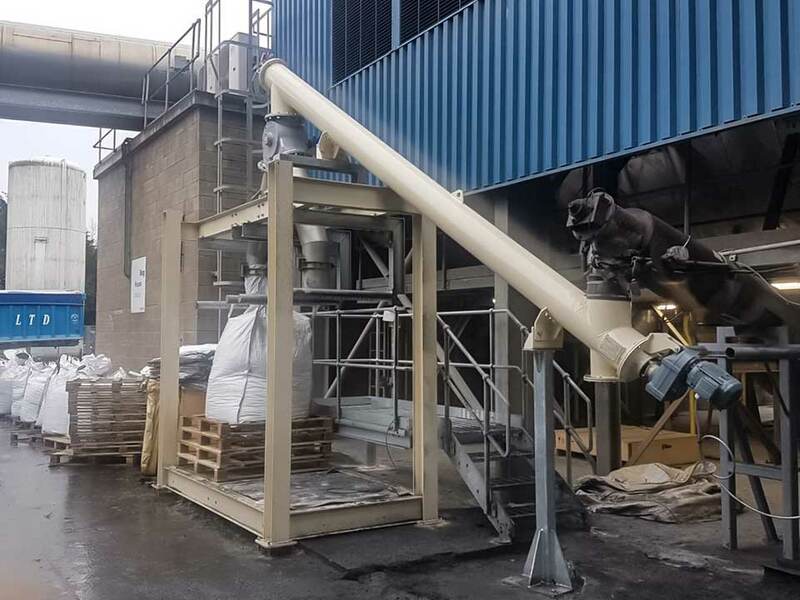 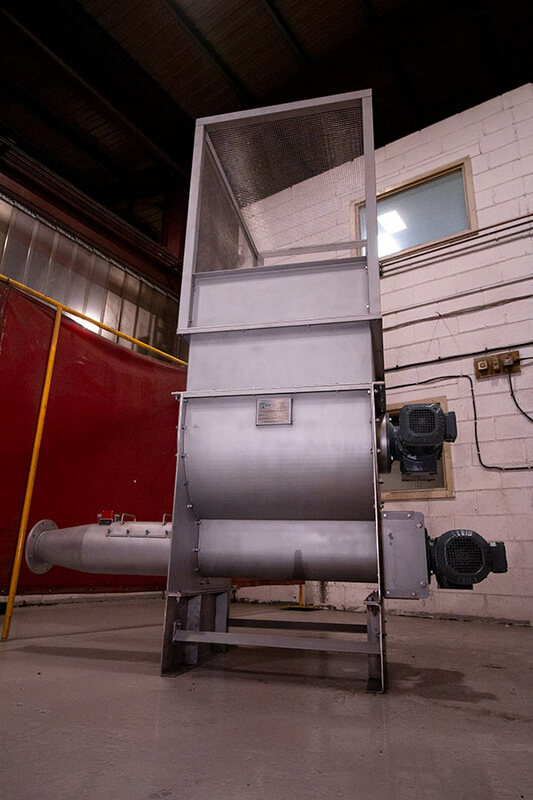 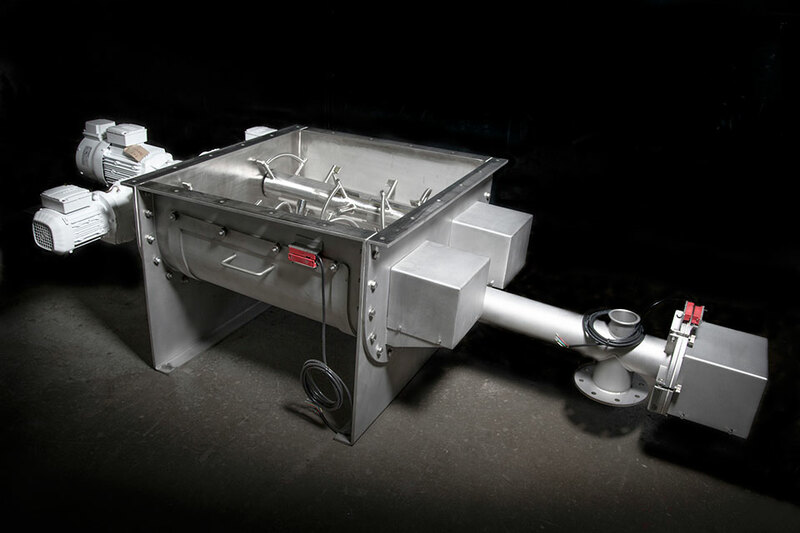 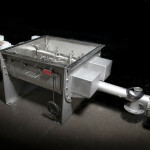 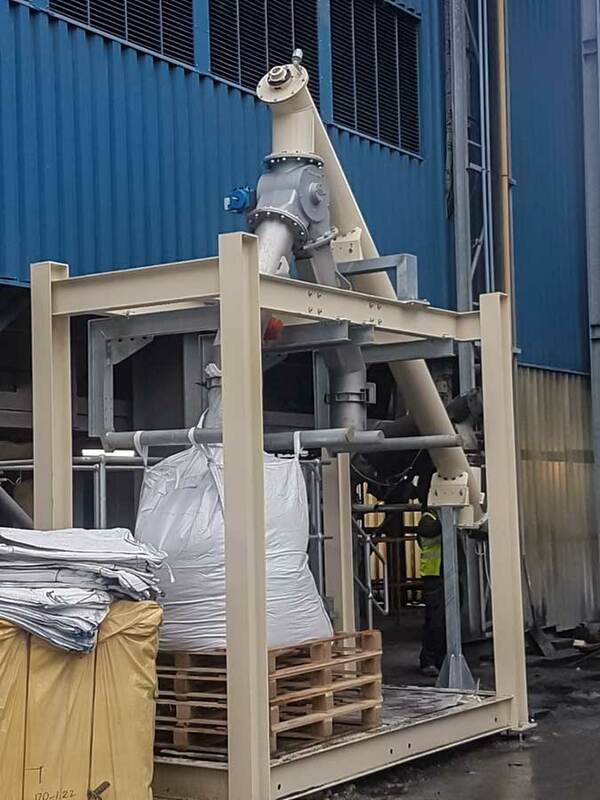 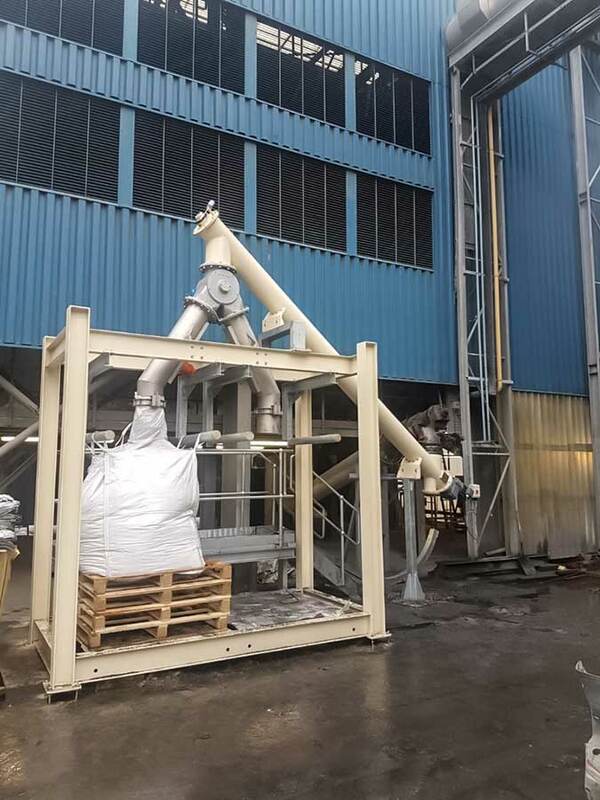 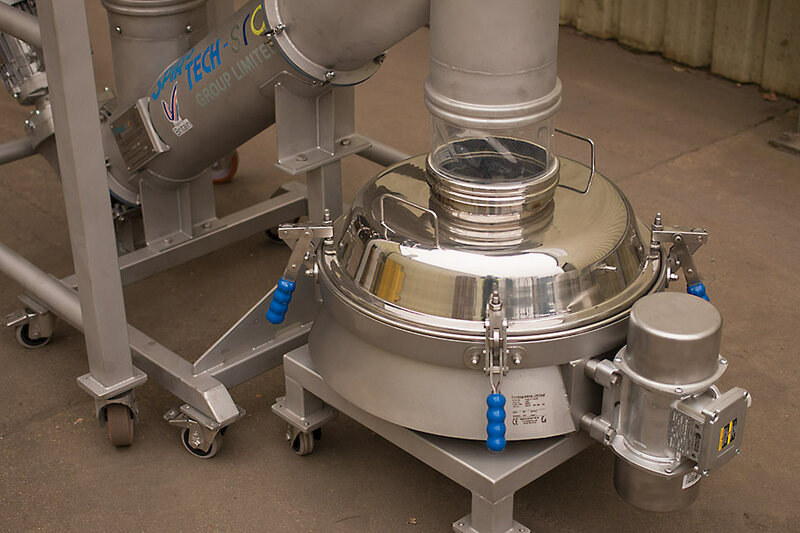 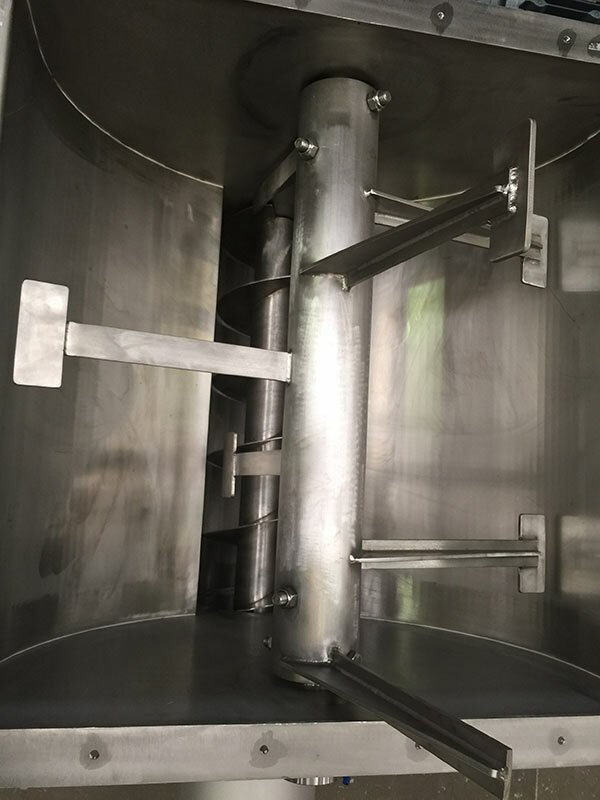 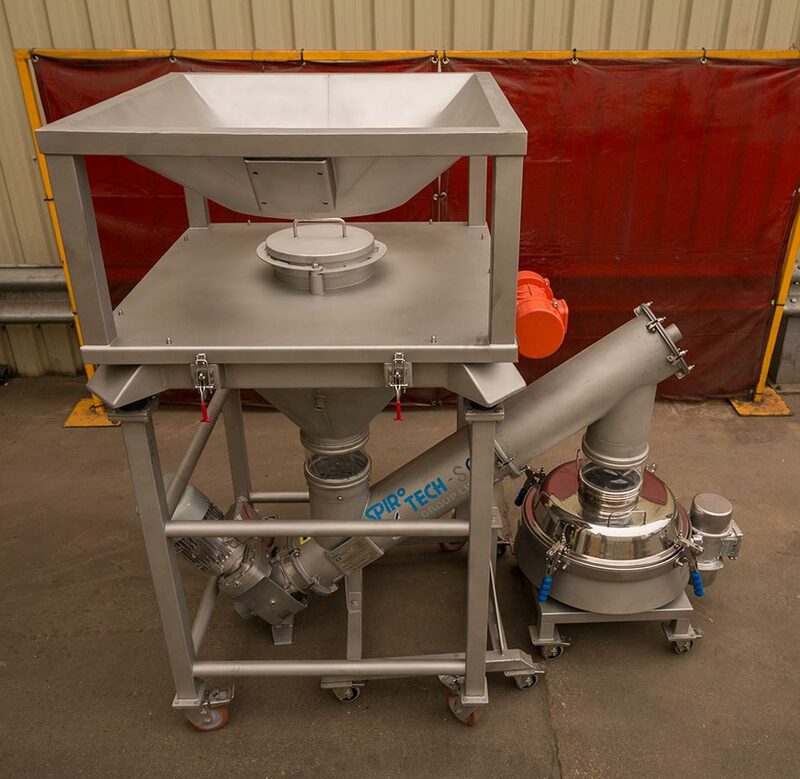 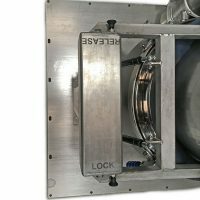 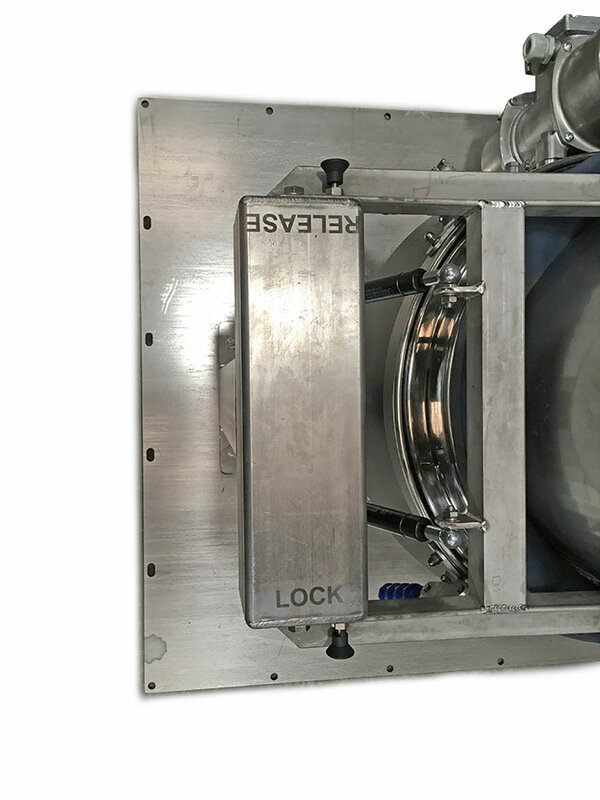 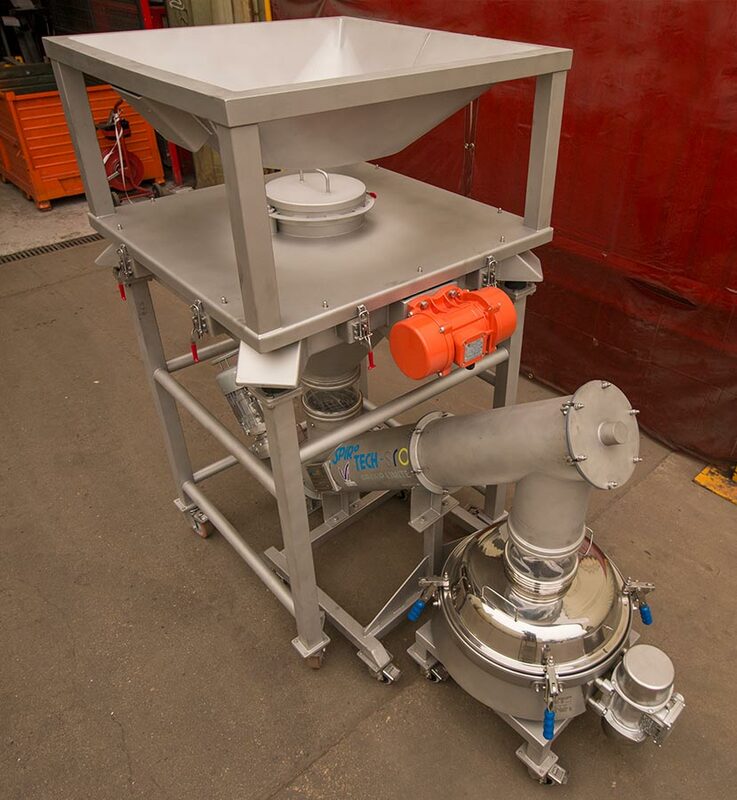 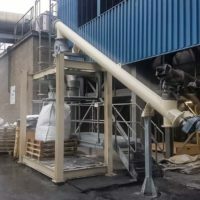 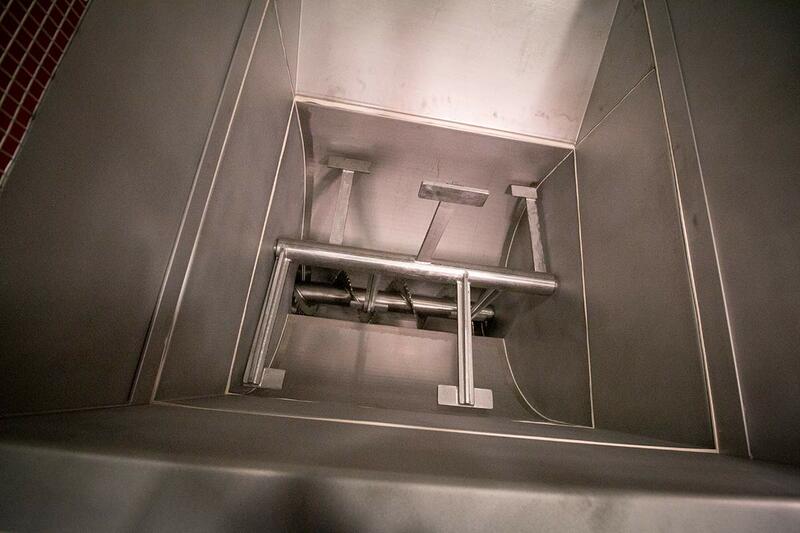 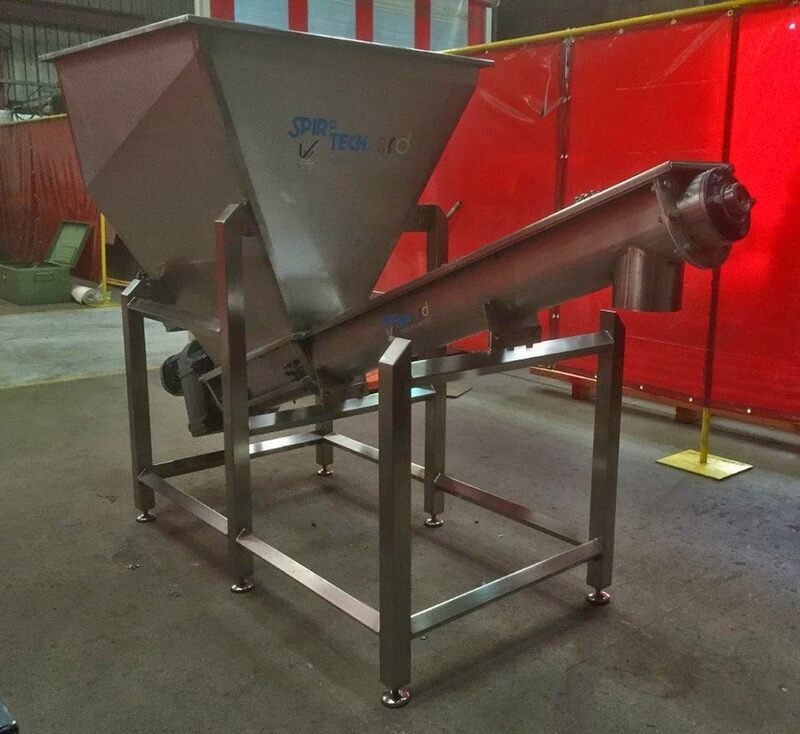 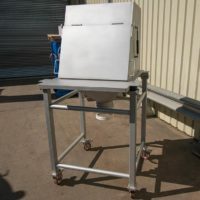 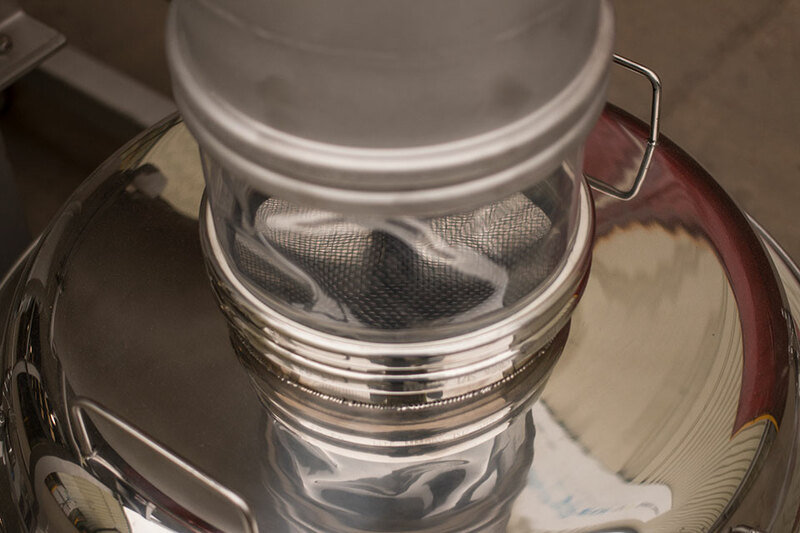 Sack tipping and sieving unit, manufactured from grade 304 stainless steel, is ATEX certified and designed to allow minimal effort to open the loading hopper door and access the sieve due to the use of gas struts. 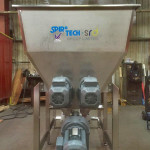 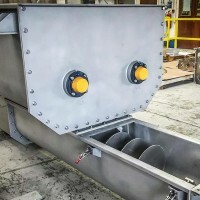 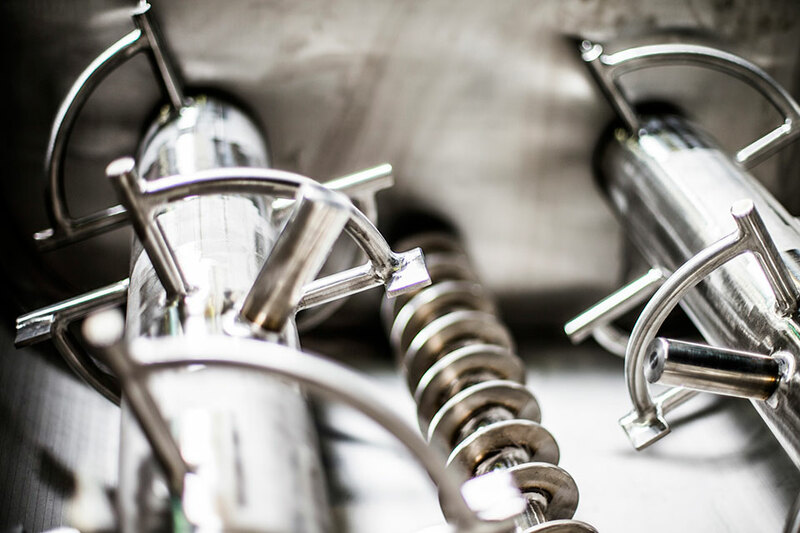 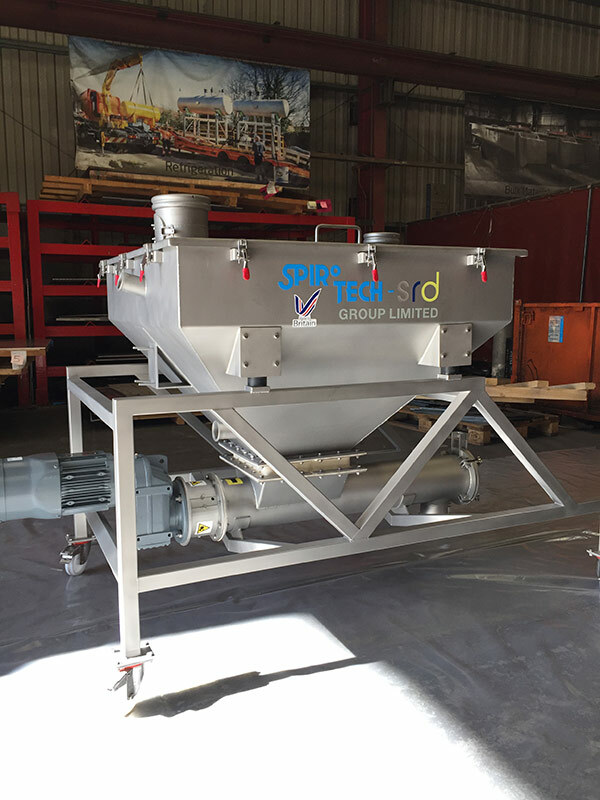 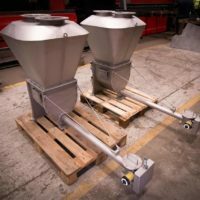 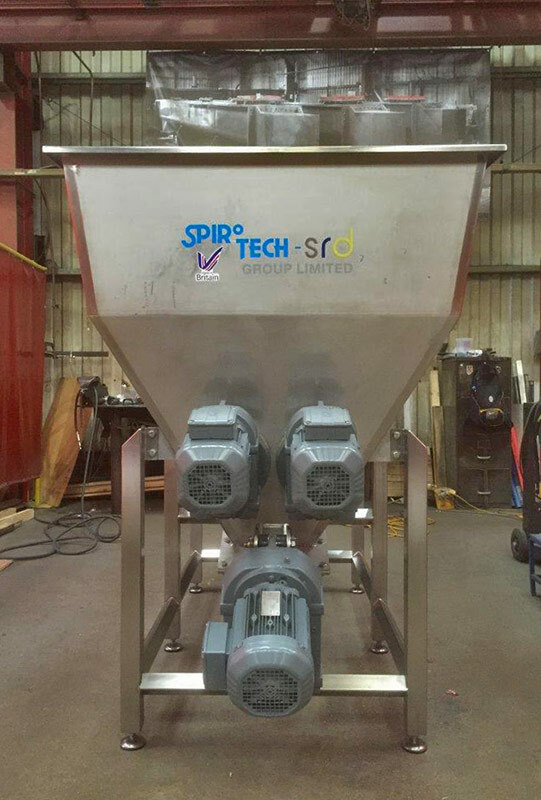 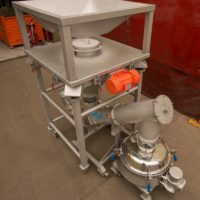 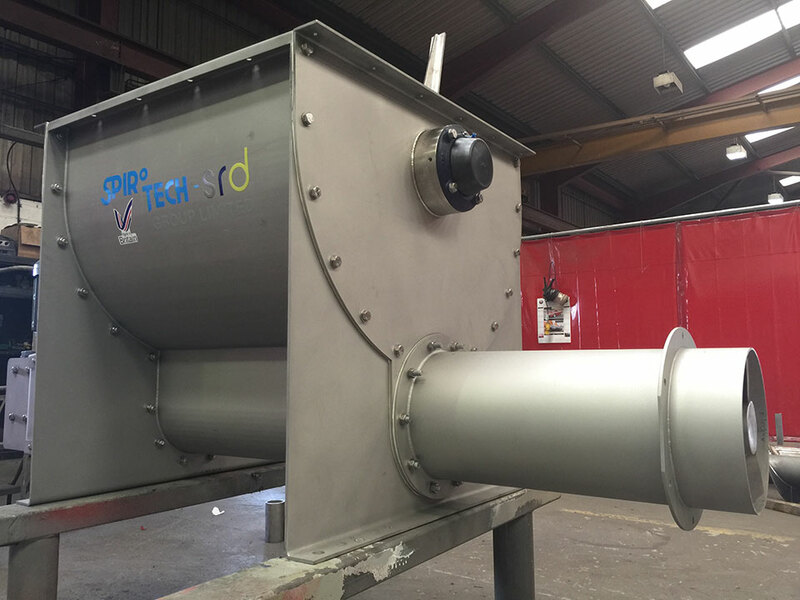 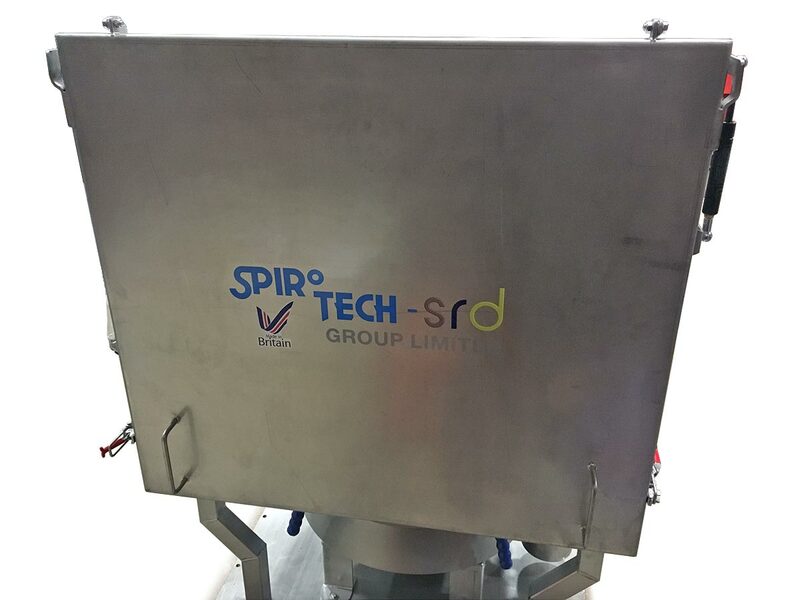 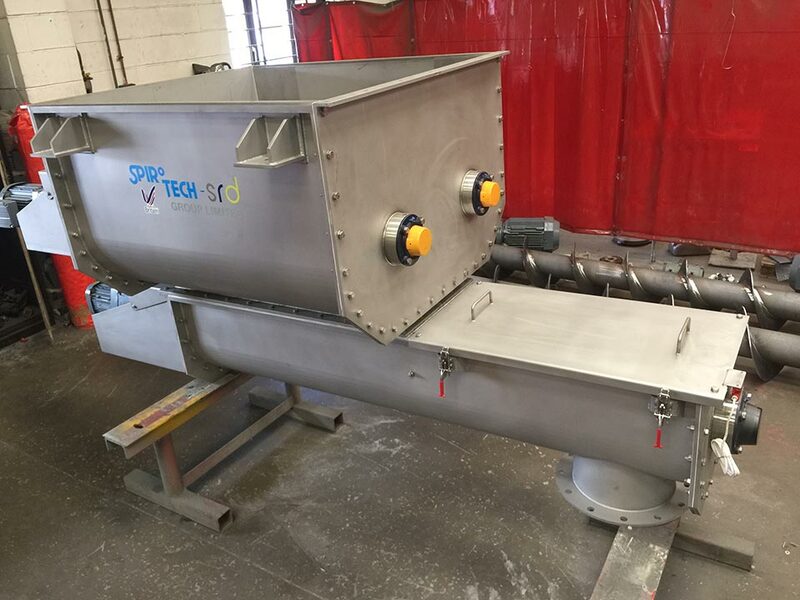 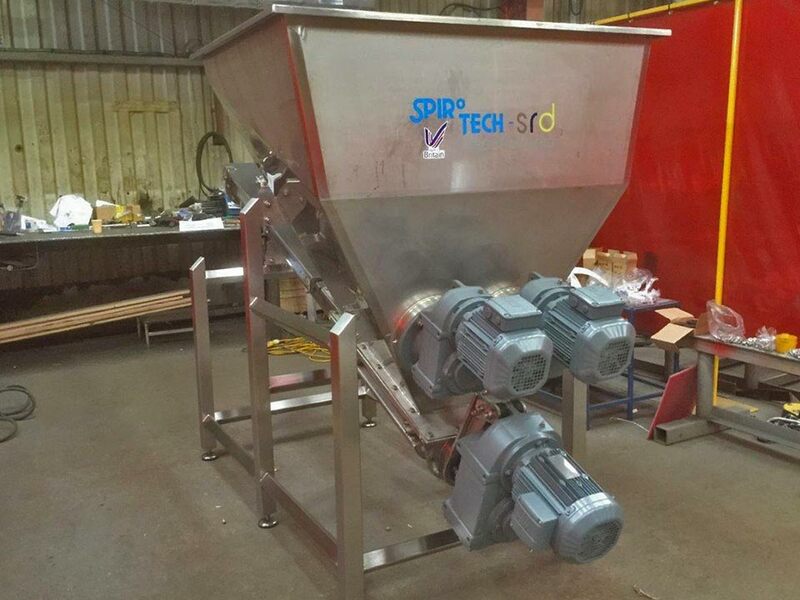 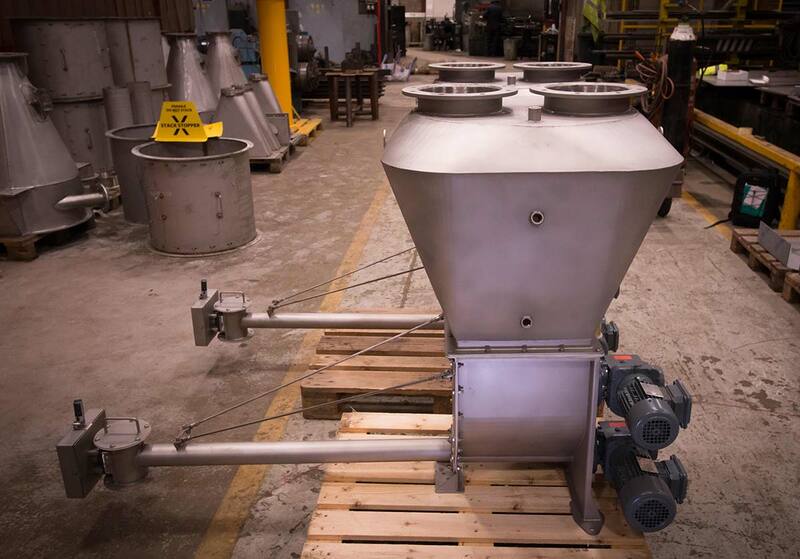 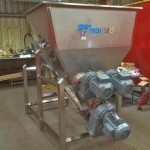 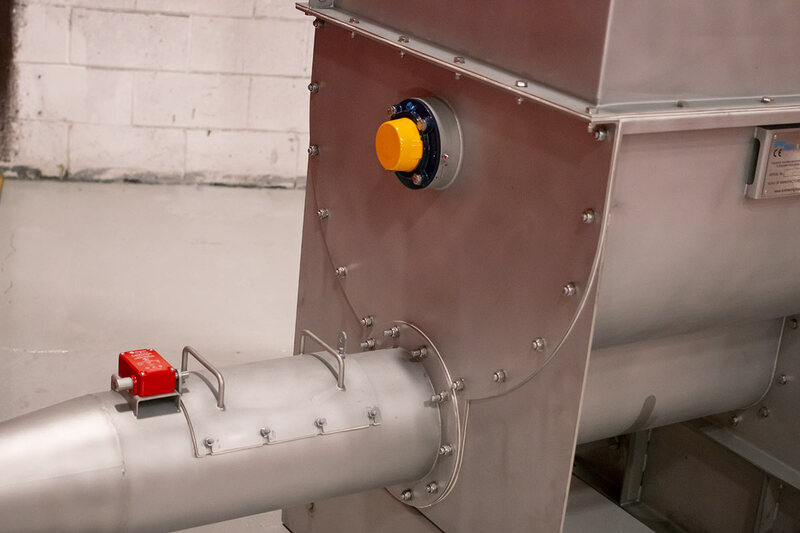 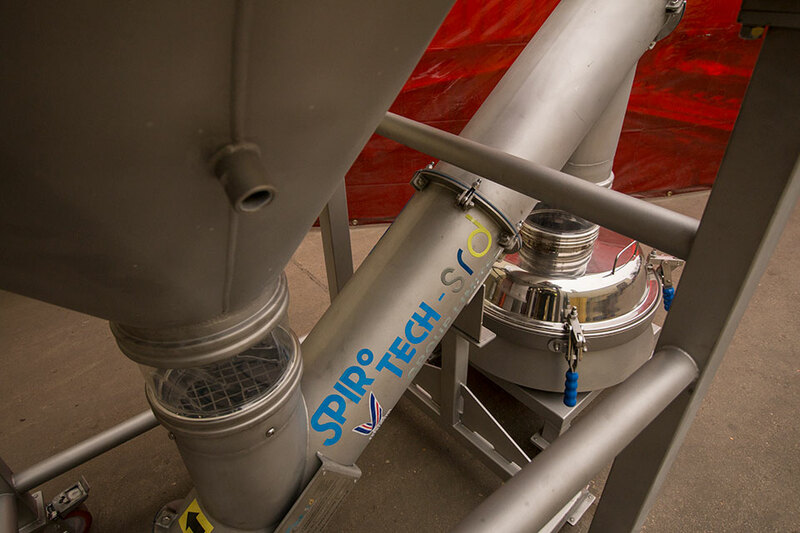 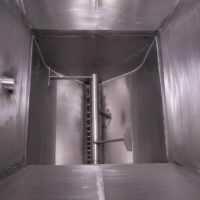 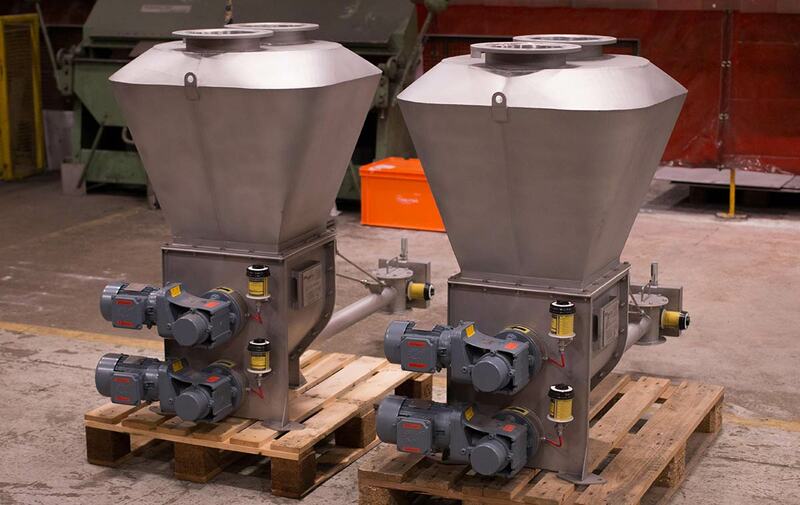 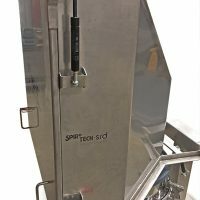 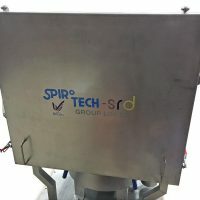 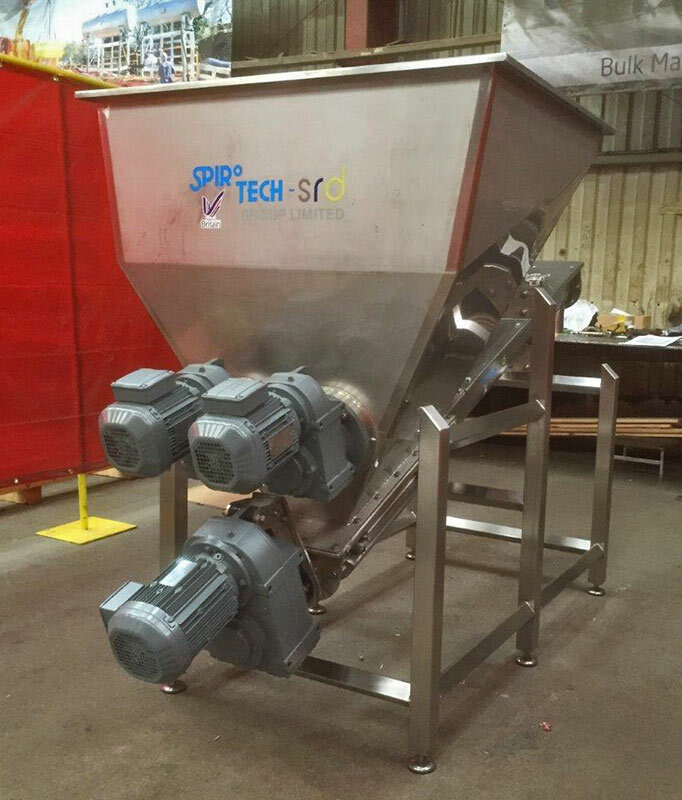 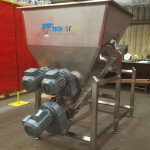 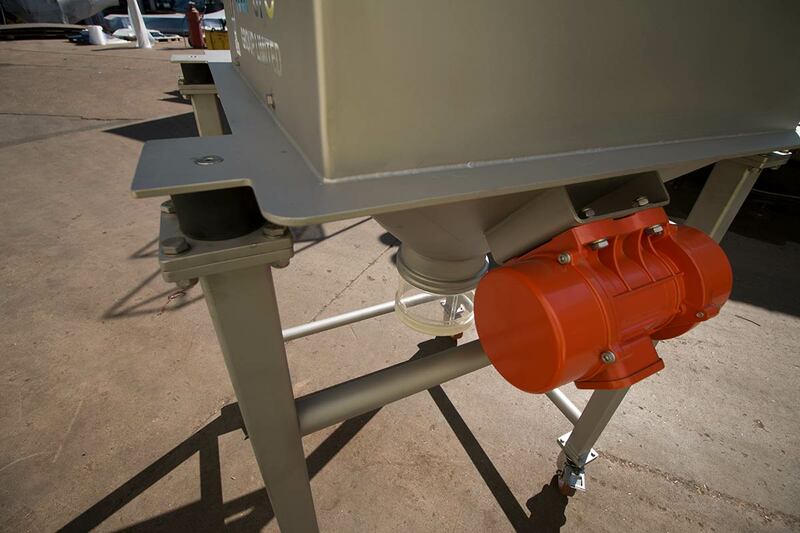 Spirotech SRD Group Ltd manufacture a range of volumetric and gravimetric feeders, bespoke to suit your exact requirements, to accurately and reliably feed various powder or granular products. 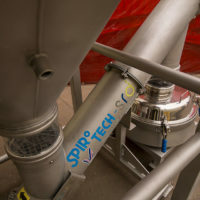 Spirotech’s standard volumetric feeder design incorporates high and low level probes for basic hopper refill and the standard gravimetric feeder design incorporates loadcells for hopper refill and can provide continuous or batch weighing to suit your specific application. 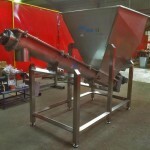 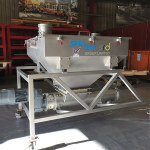 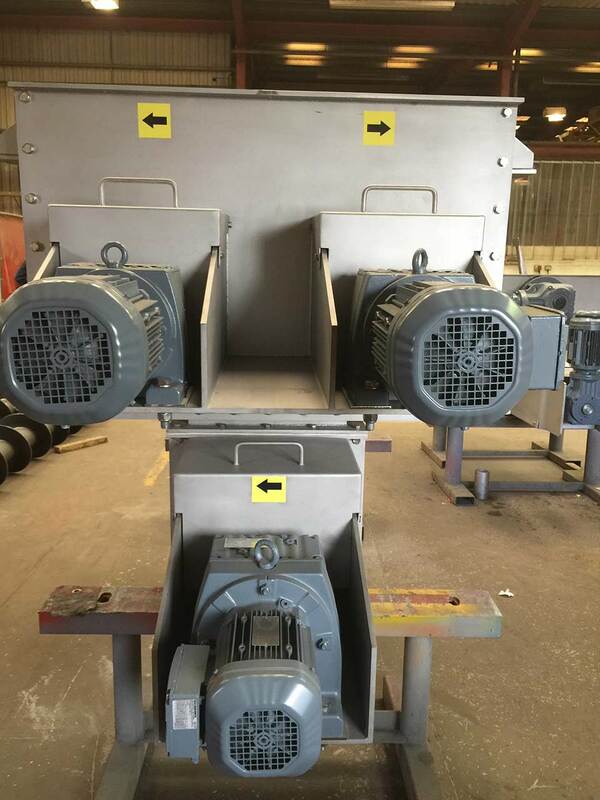 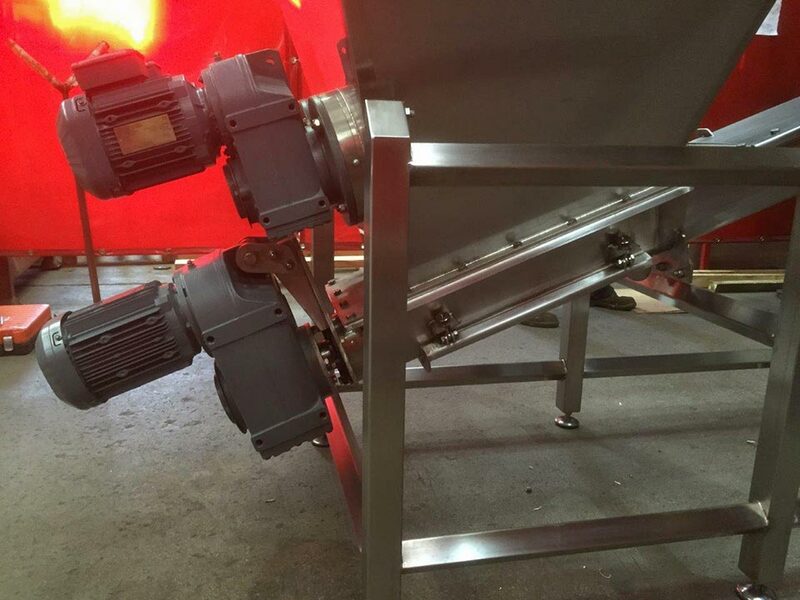 The gravimetric feeders can be used both as gain in weight or loss in weight feeder. 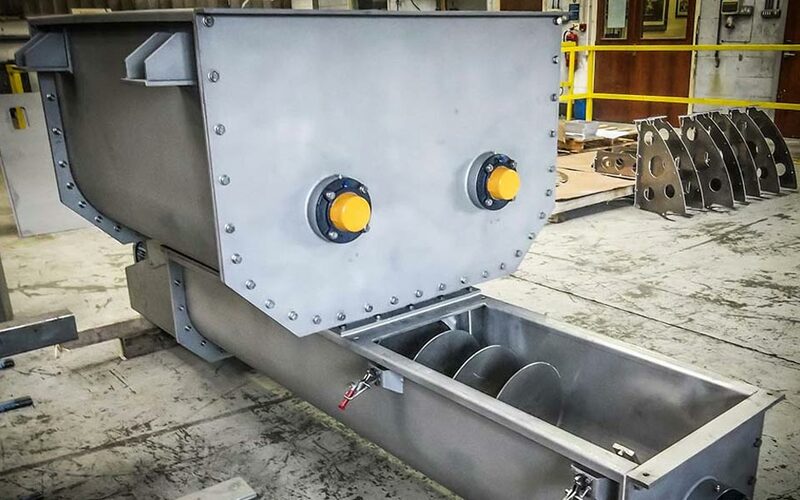 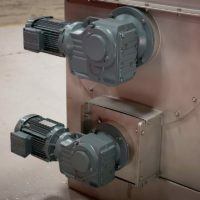 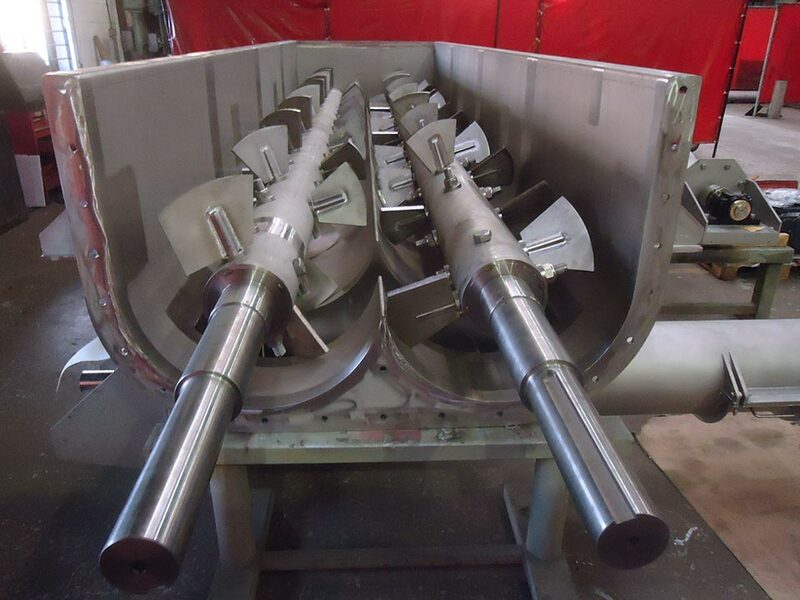 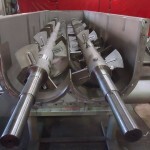 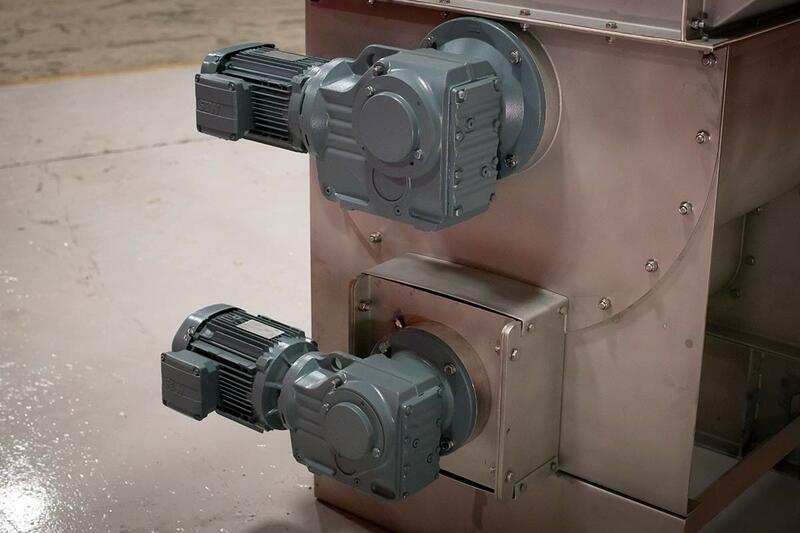 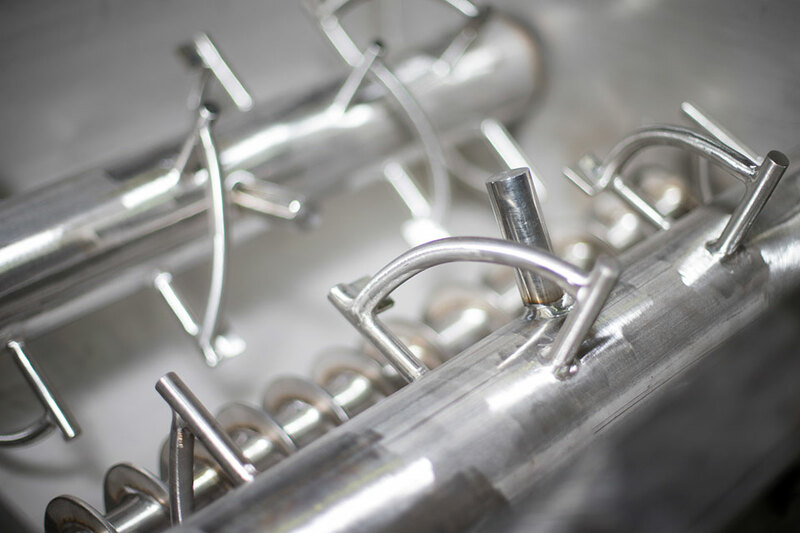 As standard, both feeder options incorporate a mechanical rotating agitator to act as a bridge breaking device to aid positive discharge before entering the screw conveyor. 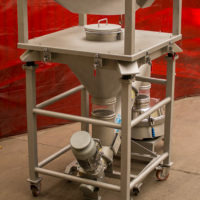 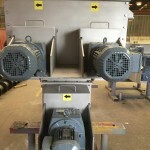 The rotating agitator is a very efficient method for handling cohesive powders prone to bridging and rat holing. 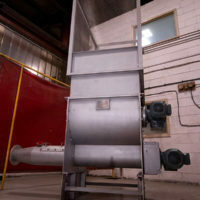 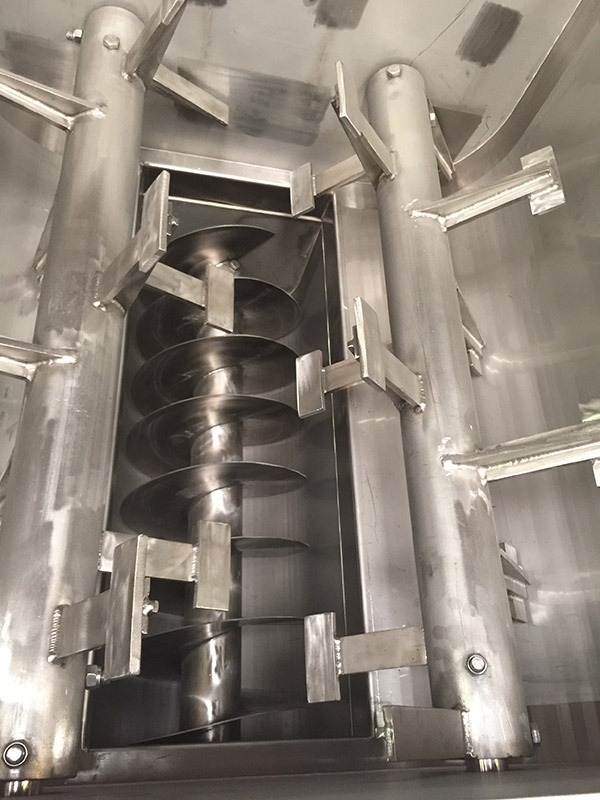 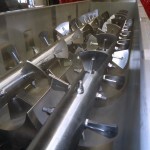 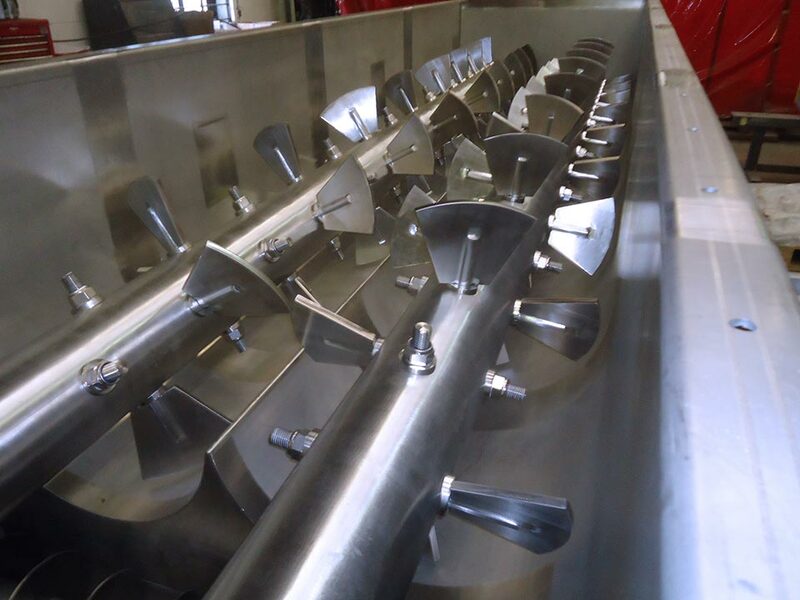 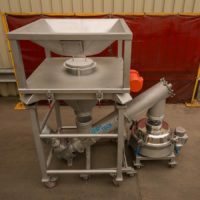 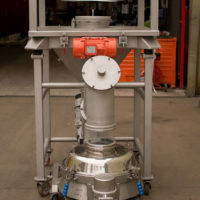 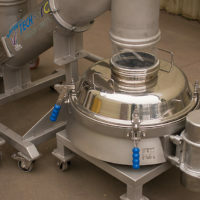 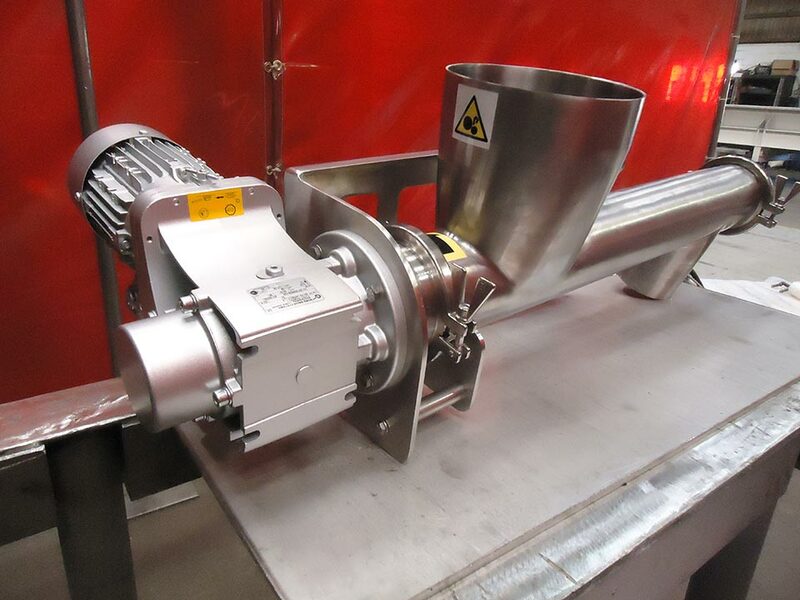 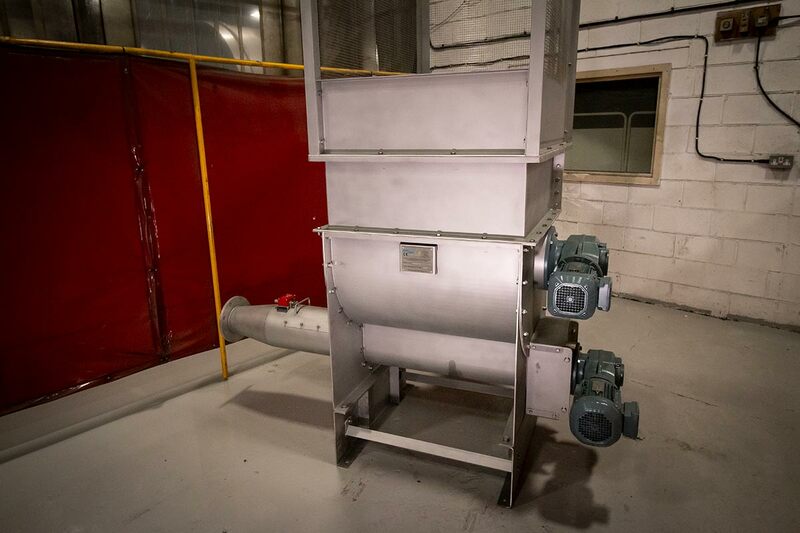 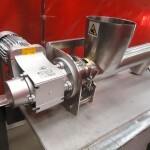 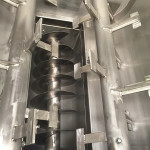 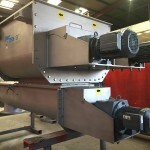 Also, a mechanical rotating agitator minimises fluctuations in bulk density, in comparison to air or vibratory discharge aids, which is an important factor when considering a gravimetric feeder as variations in bulk density distort the accuracy of the feed rate. 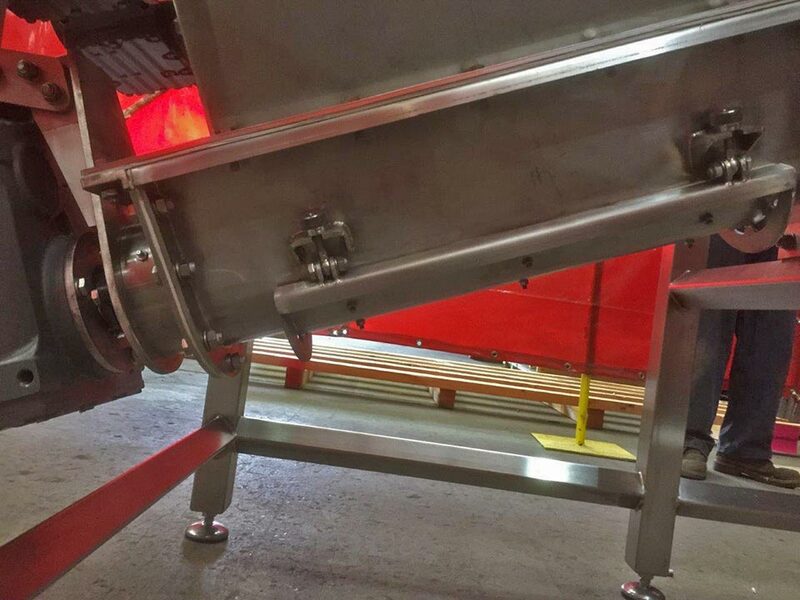 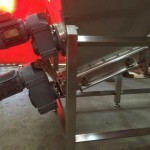 A screw conveyor is used to control the feed rate from the feeder and offers transfer rates from 25kg/hr up to 3000kg/hr. 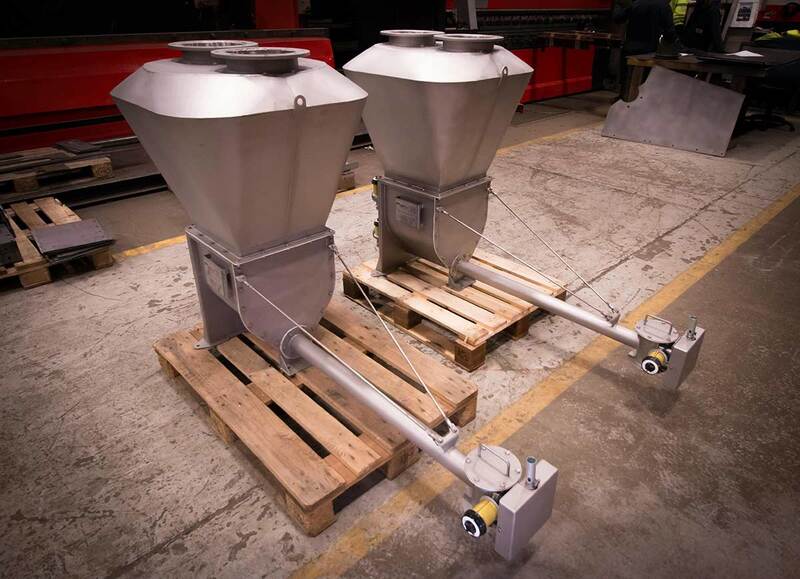 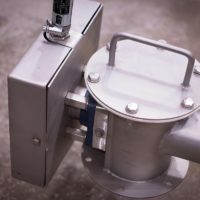 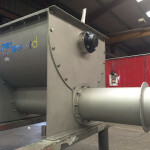 The feeders can be manufactured from carbon steel, grade 304 stainless steel and grade 316 stainless steel, with options also, for ATEX Cat 3D feeders suitable for use in a ATEX Zone 22 area. 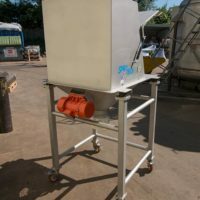 As standard the feeders are supplied with a hopper storage volume of 100ltr however the capacity can be tailored to suit your specific capacity requirements. 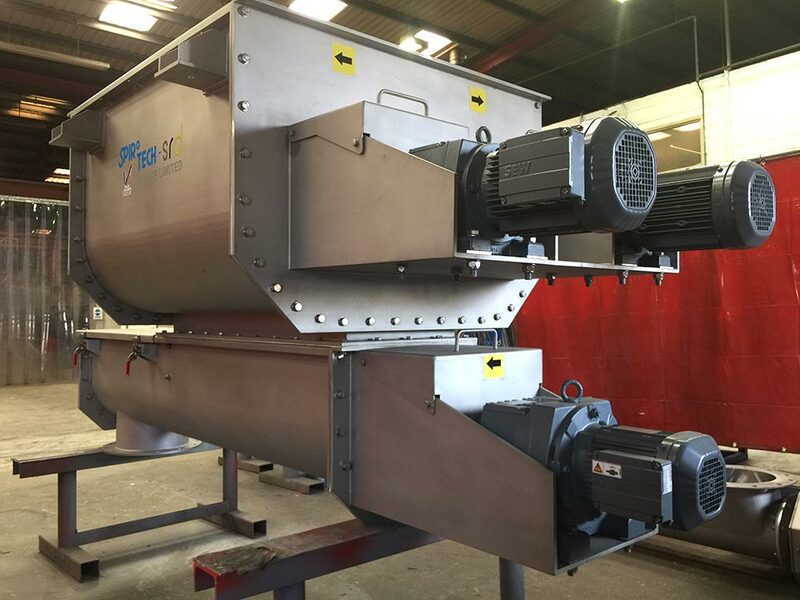 For further information regarding our bins, hoppers and mix tanks please contact one of our sales engineers who will be happy to discuss your requirements further.